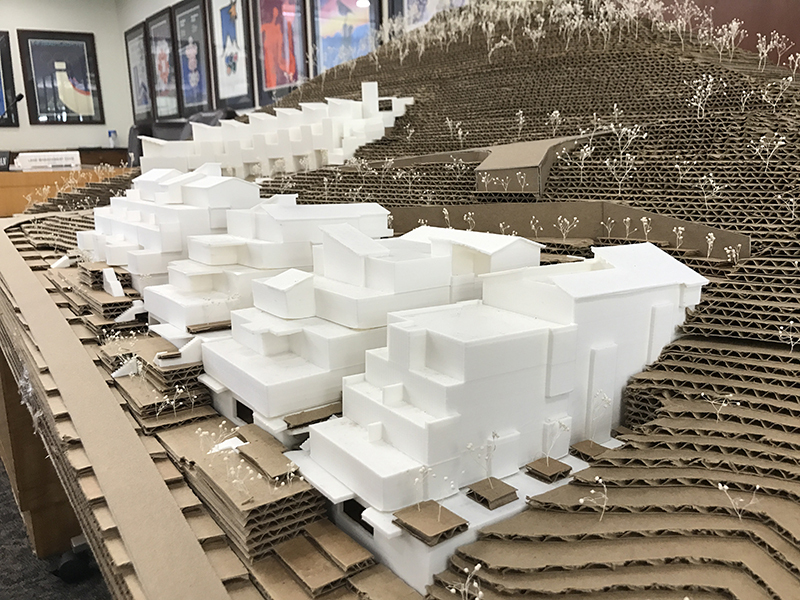 The Kings Crown development team displayed a model of the project during a Planning Commission meeting on Wednesday. 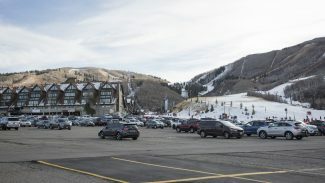 The proposal involves 72 units on the west side of Lowell Avenue just south of the Marriott Mountainside at Park City Mountain Resort. The King’s Crown development proposal, involving perhaps 140,000 square feet, is not nearly as large as the idea to build upward of 1 million square feet on the nearby Treasure acreage. 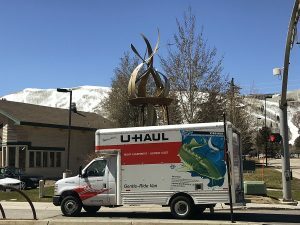 But the Park City Planning Commission on Wednesday signaled it will have the same sorts of questions for the King’s Crown developers as it has had for Treasure. The Planning Commission began its discussions about King’s Crown but only made limited progress as panel members instead focused on a presentation from representatives of the developer, a firm called CRH Partners, LLC. King’s Crown is one of the most significant projects, both in size and location, that has come before the Planning Commission in recent years. 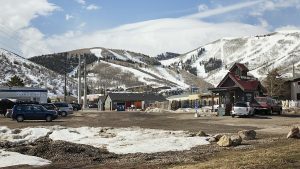 The 14 acres is situated on the west side of Lowell Avenue just south of the Marriott Mountainside at Park City Mountain Resort. It is just off the King’s Crown ski run. The proposal involves 72 units, including 27 houses. The rest would be put into multifamily buildings. Sixteen units will be set aside as restricted affordable housing. The Planning Commission started its discussions about King’s Crown as it continues the long-running talks about Treasure. The Treasure acreage is on a hillside overlooking Old Town along the route of the Town Lift just off Lowell Avenue and Empire Avenue. There is widespread concern about the amount of traffic Treasure would draw to the streets. The King’s Crown project, though not abutting the Treasure land, could encounter similar worries. That may eventually exacerbate the Treasure issues even though the Planning Commission considers development proposals individually. Planning Commissioners did not hold a detailed discussion on Wednesday, but there seemed to be an acknowledgement that the prospects of the Treasure development could be broached as the panel moves forward with meetings about King’s Crown. Preston Campbell, a member of the Planning Commission, told the King’s Crown team the proposal is perhaps one-fifth to one-quarter the size of the Treasure application, but the issues will be similar as King’s Crown attempts to address impacts. He suggested CRH Partners, LLC to research the questions the Planning Commission has asked about other projects, saying time could be saved of the developer reads the minutes of recent Planning Commission meetings. Steve Joyce, a Planning Commission who has had especially lengthy statements of concern about Treasure, said he will eventually ask lots of questions about traffic on Lowell Avenue, particularly regarding traffic in the winter. Joyce said more information is needed beyond the results of a traffic study that counts cars. Another Planning Commissioner, Melissa Band, meanwhile, indicated the plans presented on Wednesday look good. She praised the amount of affordable housing that is proposed. Planning Commissioner Douglas Thimm said the plans appear to properly place the buildings on the acreage while Laura Suesser, a Planning Commissioner, said she wants pedestrian routes to be a focus. Some of the Planning Commissioners also said they want the developers to rework visuals that were presented on Wednesday so they include the 27 houses that are proposed as well as show how King’s Crown will fit within the neighborhood. The meeting was the first of what is expected to be a series involving the Planning Commission and King’s Crown team as numerous issues are addressed in coming months. It was not clear on Wednesday when the project will return to the Planning Commission. Nobody testified during a hearing. It seems likely there will be additional public interest as the discussions advance toward a vote. Rory Murphy, a CRH Partners, LLC member, addressed the Planning Commission, saying the developer wants the project to be compatible with the community and describing that some of the project will be clustered behind the Marriott Mountainside in an effort to reduce its visibility. He said the restricted affordable housing proposed is greater than what would be required through City Hall’s rules. He told the Planning Commission it is “the right thing to do.” Murphy, meanwhile, said 82 percent of the acreage would remain undeveloped open space that would border other open land, benefiting wildlife. The development team also told the Planning Commission project-related traffic will not significantly increase the overall numbers on nearby roads, there will be a pedestrian-friendly route to the transit system and the designs do not call for a hotel or commercial space, reducing the amount of traffic that will head to and from the location. 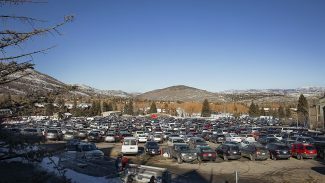 In an interview afterward, Hans Fuegi, a CRH Partners, LLC representative, said the developer conducted a traffic study during the past ski season that concluded the roads can accommodate the increase in cars. He said King’s Crown would build a sidewalk along Lowell Avenue as is passes the project site if Park City officials want one. “Lowell Avenue can handle whatever pressure King’s Crown is going to put on Lowell Avenue,” Fuegi said.